If you resolved to eat healthier this year, you might feel the need to avoid eating out at all costs. Between the notoriously large portion sizes, limited healthy options, and the resulting temptation to eat unhealthy foods, it’s no secret that most restaurants have a bad reputation when it comes to promoting health and wellness. 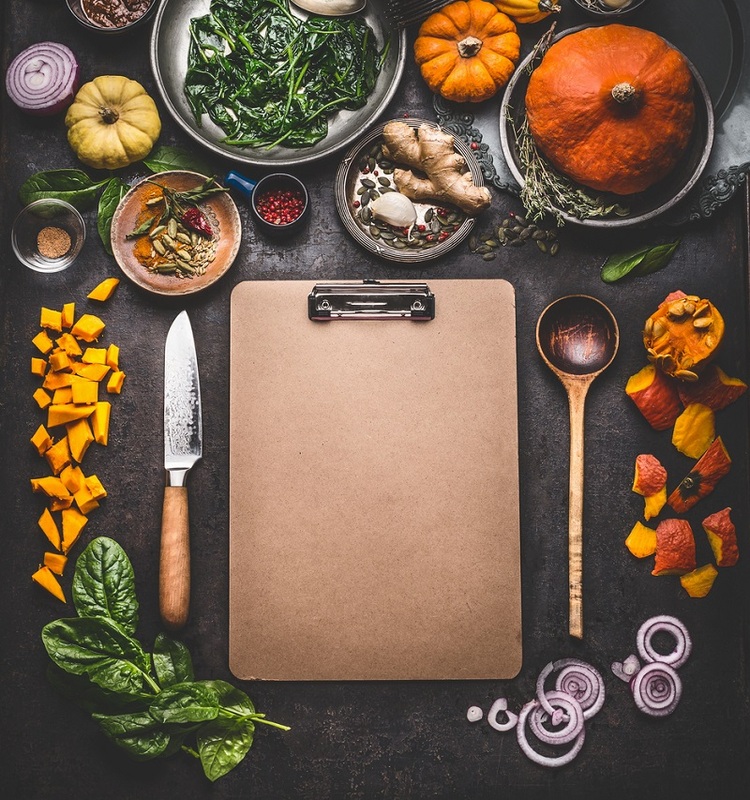 But does your desire to eat healthy really mean you should stop eating out altogether?What if, in the busyness of your week, you run out of time to meal prep? Or what if your friends invite you out for dinner? Sometimes it’s hard to say no to the convenience of eating out. It can be even more difficult to say no to your friends. And truthfully, there’s really no harm in saying yes every now and then. On such occasions, you don’t have to throw your healthy eating goals out the window. Here are 5 tips to help you maintain your healthy eating habits when dining at restaurants. When it comes to eating healthy at restaurants, knowing which foods you can and cannot have, and choosing a restaurant accordingly, is of the utmost importance. But finding a restaurant that accommodates your dietary needs can prove to be more difficult depending on where you live since some cities have healthier dining options than others. If you’re vegan, paleo, or gluten-free, for instance, it might be a good idea to search for restaurants in your area that will cater to these needs before heading out the door for dinner. After all, there’s really nothing worse than sitting down at a restaurant only to realize you can’t have anything on the menu. But as we all know, you don’t always have a say in where you eat. Like when you’re meeting friends or family for dinner. In cases like these, it’s not a bad idea to look up the menu online beforehand to be sure the restaurant’s offerings suit your dietary needs. Now, let’s say you’re not on a special diet per se, but you are trying to watch your daily caloric intake. What do you do? Well, it’s not a bad idea to note each dish’s calorie count as you peruse the menu. The FDA requires all chain restaurants that have 20 or more locations to provide calorie labels that correspond with each menu item– so if you’re dining at a chain, this shouldn’t be an issue. But even if you’re eating local, it’s still worth asking your server for this information, as it may be available upon request. If you’re less than enthused about the number of calories in the dish you’re craving, it might not be necessary to forego it altogether given that there’s almost always a way to make healthier substitutions within the dish. For breakfast, this might mean requesting a fruit cup with your omelet instead of toast. For lunch, why not hold croutons on your salad and substitute your dressing of choice for a lighter alternative? Or, if you’re having steak, why not opt for steamed veggies as your side instead of fries or a fully loaded baked potato? And for dinner, you can order your favorite pasta dish with zoodles or whole grain noodles rather refined pasta. These substitutions may seem insignificant, but if you begin making them every time you eat out, the calories add up. Though this may seem like a no-brainer, opting for water rather than a soda when you’re eating out is a great way lower the caloric intake of your meal. It’s not uncommon for a glass of soda to have 150-200 calories. This may not seem like that much, but after 2 or 3 refills, you could be looking at up to 600 calories in soda consumption alone. In addition to lowering your caloric intake, drinking water rather than soda has many other health benefits. Water is better for your skin health, digestive system, kidneys, joints, and more. Between the bread served at the beginning of meals, the hearty appetizers, and notoriously large portion sizes, it can be easy to overeat at restaurants. In fact, for a lot of us, over-eating is second nature when we’re dining out. And regardless of whether this is mindless eating, or a more intentional attempt to get our money’s worth, it’s important to pay attention to our bodies and stop eating when we’re full– not when we’re stuffed. Once you’ve satisfied your hunger, ask for a to-go box, and set aside the rest of your meal for another time. You’ll thank yourself tomorrow when all you have to do for dinner is pop your leftovers in the microwave. Eating healthy at restaurants doesn’t have to be difficult, and a quest to eat healthier doesn’t have to hold you back from going out and having fun. Enjoy meals out with friends and rest assured that there are still options for healthy choices.